No entity is “too small” for this coverage as it’s only takes one employee to file a claim. State laws can also be broader than the federal laws. For many employment related laws in Texas, companies with 1 or 4 employee minimums can be sued (again, depending on the law). Moreover, claims can also arise from third parties as well, such as customers, vendors, potential or perspective employees. You may think that a business has a comfortable and “family environment” but external behavior and interpretation of actions can not be controlled or monitored. Any employee or affiliate can file a claim against a company, even if the entity can prove by an internal investigation or through the legal system that there is not merit to the initial allegation, the entity must STILL defend themselves. Example: Woman enters an upscale grocery store to shop. She is legally blind with a guide dog. The assistant manager in charge asks her to leave the store with the animal because of the concern for the sanitary condition of the food, as there are fine cheeses, fish and meat out on ice. She filed a 3rd party discrimination claim against the grocery store for discriminating against her disability. Example: A male employee consistently makes remarks to one of his female co workers on her attractive appearance, even though she is married and has asked the co worker to stop. Areas where Discrimination claims arises: gender, race, religion, social class, age, weight and physical appearance, disease and medical history, sexual preference, etc. An ethnic minority employee of a barge repair and a painting firm complained to management that some of his coworkers were using racial slurs and making jokes of that nature. His supervisor transferred him to an inside warehouse position at a reduced hourly rate stating that it would be better for him to work alone rather than be exposed to those workers. 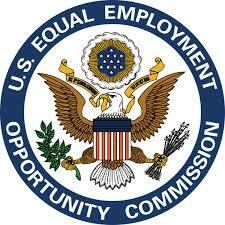 The employee later sued for discrimination and retaliation for reporting the discrimination. A group of employees would end their day gathering around a fellow employee’s desk to look at the latest daily swimsuit model at a new website featuring bikini styles. A female employee stopped by during one of these gatherings and noticed the pictures. She then returned to her cubicle on the other side of the room. Although she never saw the photos after that day. She would see the employees gather around the desk each day and hear “off-Color” remarks in relation to the photos. She later sued the company for a hostile work environment. An insurance agency settled for $80,000 with a non-exempt customer service rep for unpaid overtime. The CSR was paid $20 an hour by the agency and never complained about her workload. Frequently, she was asked to come in early for conference calls and to stay late at the end of the month to ensure that all policies were billed prior to month end close. Without having any knowledge of any wrongdoing, the owner was served with a FLSA lawsuit from the CSR who had been quietly tracking her hours worked. The agency has no way of knowing whether her calculations were accurate and she was advised by counsel to immediately settle for the requested amount. Are you covered for EPLI exposures?